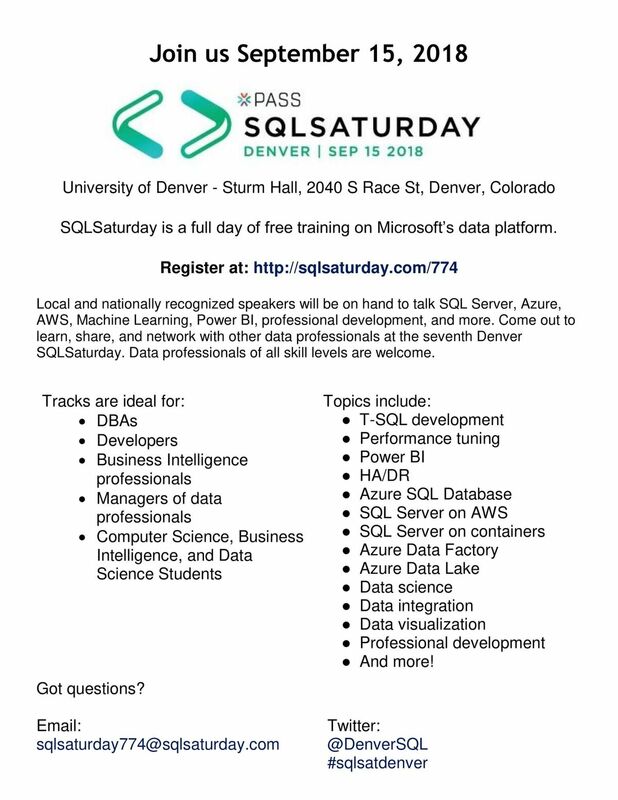 Paul to present at SQL Saturday #774 - Denver - 2pm 9/15/18 - Consulting/Contracting - Is it Right for Me? I will be presenting on Consulting/Contracting - is it Right for Me? on Saturday, September 15 at 2pm. 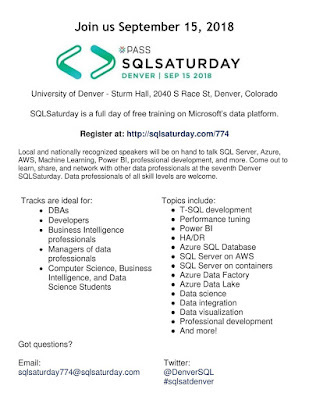 This will be at the SQL Saturday #774 Denver event. After spending 90% of my time doing contracts in the past 20 years, I share the successes and pitfalls of the journey. This will be held at the University of Denver campus.